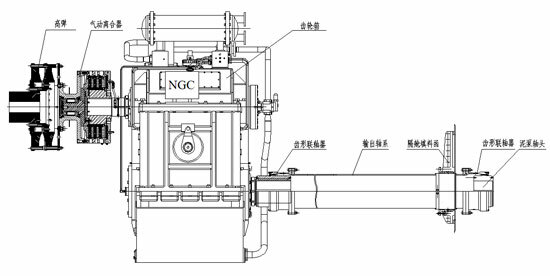 Integrated with the global advanced designing technology into our own experience, NGC R & D team has developed out the transmission solutions of dredgers, which can meet the developing requirements of large size and diversification. 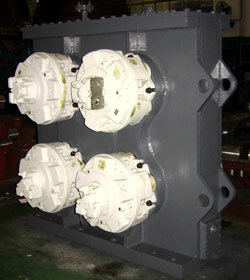 We are able to satisfy the requirement of equipment interface and whole-set performance according to performance and matching between the equipments. 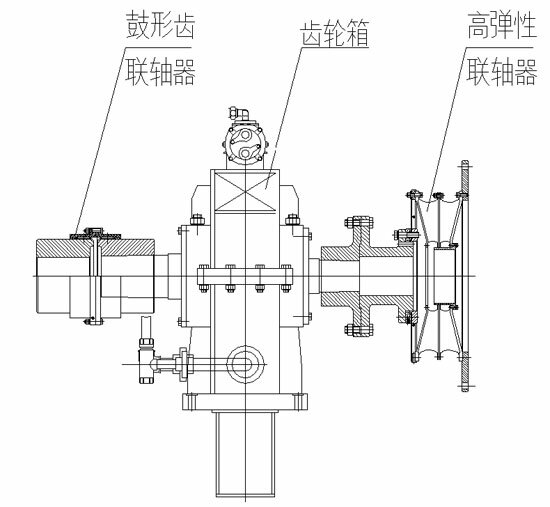 Till today, we have developed out a series of transmission systems with NGC IP rights, such as submerged cutter gearbox, cabin dredge pump gearbox, submerged dredge pump gearbox, high pressure water pump gearbox, hydraulic pump gearbox, bucket wheel gearbox, pivot shaft gearbox, etc. 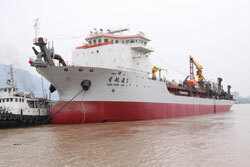 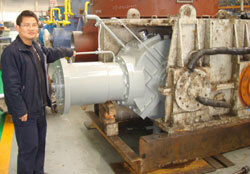 and have been widely used in various types of dredgers. 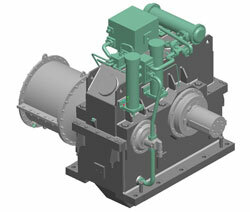 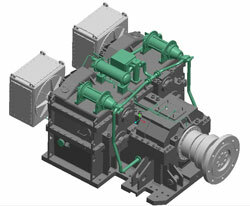 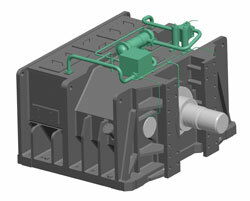 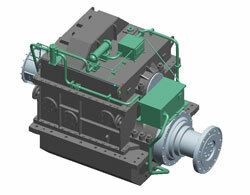 Apply for the submerged cutter driving section of large cutter dredger. 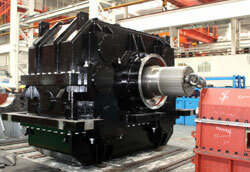 Features of work condition: soil sand; have high requirement of sand prevention and sealing; low RPM, super large torque, large ahead and astern pull, deep water operation (max. 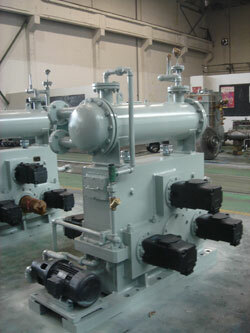 operating depth of water 35m). 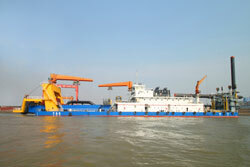 Apply for the submerged dredge pump driving unit of large cutter dredger and bucket wheel dredger.Features of work condition: big variation of sand and water density, deep water operation (max. 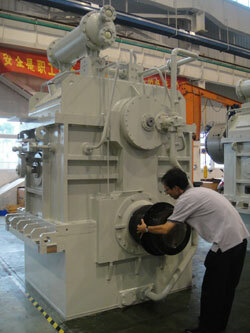 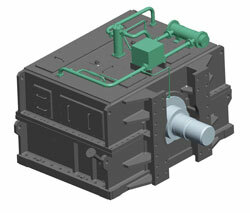 operating depth: around 30m), high requirements for sand prevention and seal, super large torque and large pull. 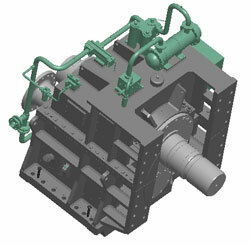 Apply for submerged dredge pump driving unit of large cutter dredger and bucket wheel dredger.Features of work condition: big variation of sand and sand density, high requirement of seal, super large torque, the output side can rotate with bridge rack freely. 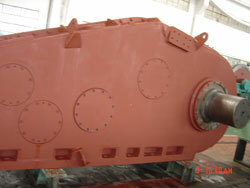 Apply for submerged bucket wheel driving section of large bucket wheel dredgers.Features of work condition: deep water operation (max. 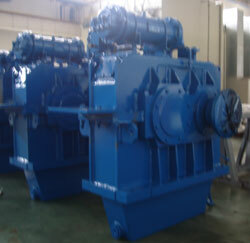 operating depth: around 35m), high requirement of sand prevention and seal, low rpm, super large torque, big shock, abut against the soil sand.